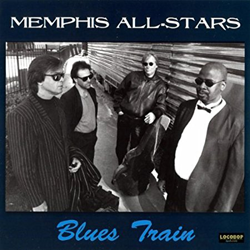 Greg Reding founded The Memphis All-Stars in 1983 after working with the legendary Stephen Stills. Lead vocalist Robert Clayborne has backed Al Green, Yolanda Adams and Rufus Thomas. This album is reminiscent of the great Motown Sound with that extra special soulful touch that came from their hometown's own Stax Records.